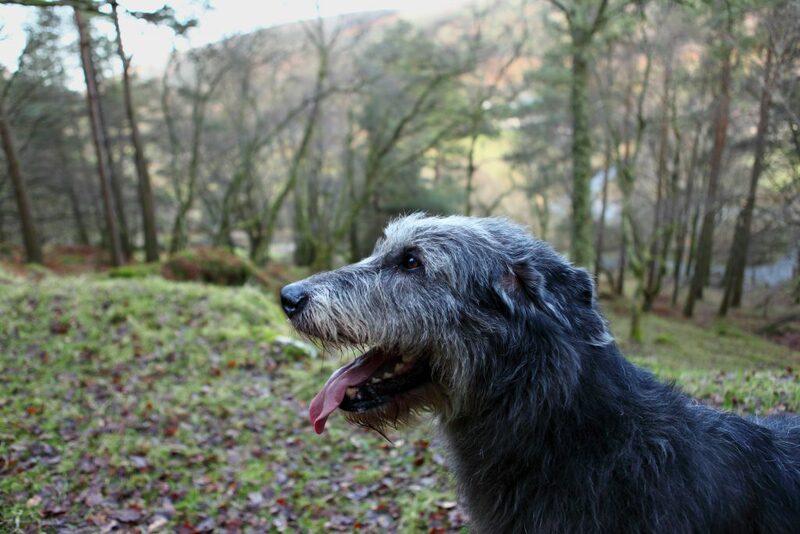 If you have set your sights on an Irish Wolfhound then you may like to consider taking on an animal in need of re-homing. The first hurdle to be considered is your ability to cope with the strength and purpose of a hound. They love chasing anything that runs away from them and need help in restraining this behaviour when it is inappropriate. Brute force is not enough – you need to be able to convince the hound that you are the leader of the pack. If you have inadequate experience of this then you will need some additional practice. A dog behaviourist may be able to advise and provide a suitable scenario. The second hurdle is whether you have the facilities to keep the hound safely. A fenced area of garden will be needed for outside access together with an area where you can give the hound the two hours or so of exercise that they will need per day. Less exercise is possible but you will end up with a hound that quickly becomes flabby and unfit. Dry sleeping quarters with a soft covering will help keep bursitis at bay. The Irish Wolfhound is sociable and enjoys human company. They are not suitable for security duties nor for being left alone during the working day. Vet fees can be high and so insurance is usually a good idea. The insurance will also cover third party damage which may help you to sleep at night. Usually a rescue hound will have been spayed or castrated so that future breeding will not be a possibility. Even so when growing they will need considerable quantities of food which will level off after about two years. From this point on they will stay the same size on about six cups of high quality prepared food per day. You may have read the various writings on BARF and decide that a pound of meat together with bones and biscuit per day will be a healthier option. You will need a reliable source of supply. After all these considerations you still want a Rescue Hound rather than a puppy? Then fill in the application form and send it to us by post. We will contact you and with mutual agreement put your name on our rescue list. Dogs are usually re-homed where we consider that they will have the best chance of a happy life. For further information please go to the Contact Us section at the top of the Home Page and select Irish Wolfhound Rescue Contact, click on the title and a new page will open allowing you to send a message.